Thanks to their construction design, these two halls offer the ideal setting for workshops or conferences. 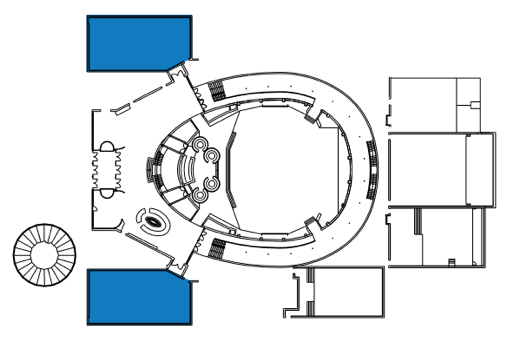 They are built as plenary rooms with a gradient of 20 degrees. 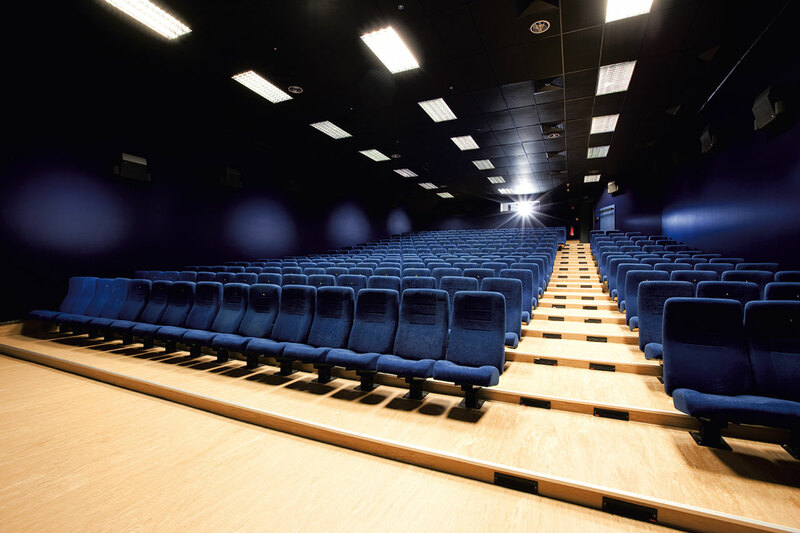 This guarantees that even the audience in the back rows has an unimpeded view of the projection screen and stage. Whether your event is a speech, a meeting, a presentation or a podium discussion – the unique flair of these halls will ensure its success. 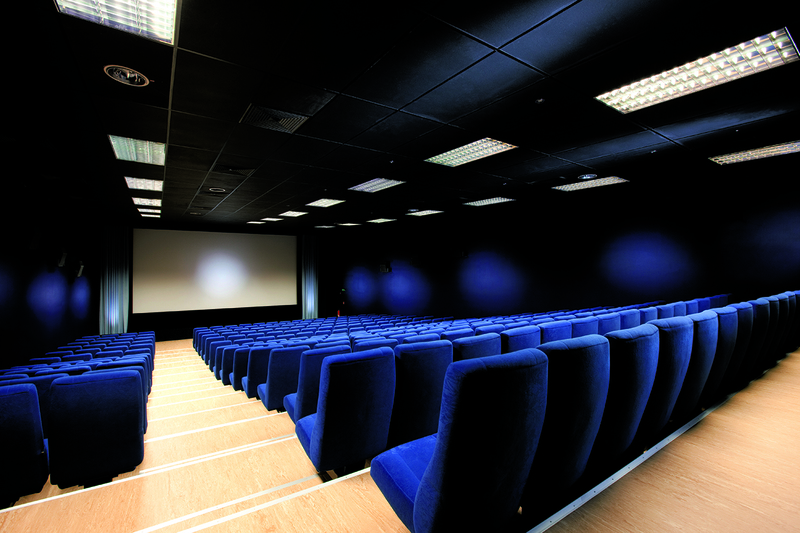 In addition, the halls ‘cinema projection technology make them the ideal location for movie presentations of innovative artists. All types of movie viewings can be organized for interested expert audiences, thus providing a platform for the creative community.